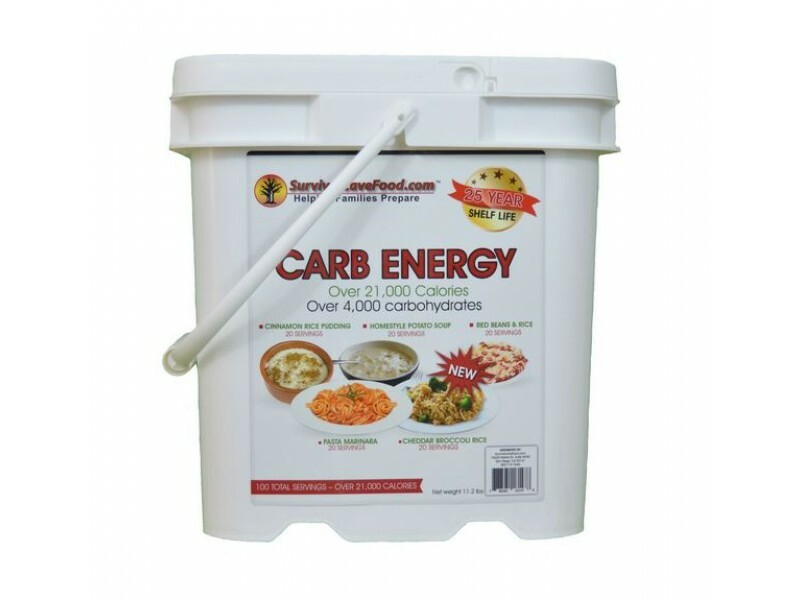 Carb Energy Bucket 100 servings of delicious meals packed with carbs for energy, packaged for long term food storage and delivered in a convenient plastic bucket for easy storage. Everyone knows that in an emergency situation, it's carbohydrates and calories that count. 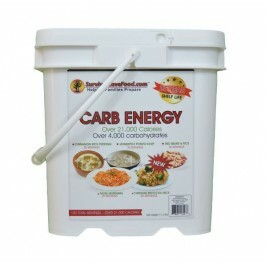 This food storage variety provides you with over 21,000 calories and over 4000 carbohydrates. 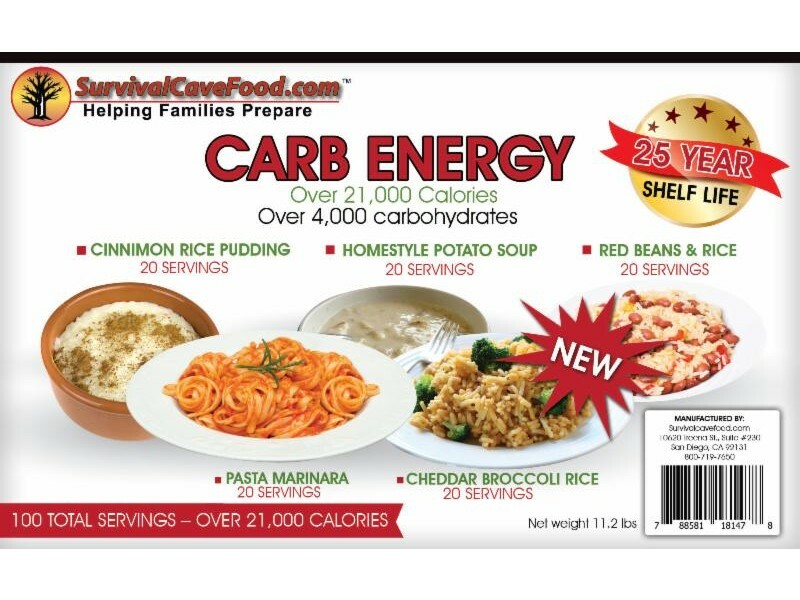 It's the perfect mix of food storage that will give you and your family the energy they need to keep going in stressful times. Each meal is packaged in special poly-metalized pouches and vacuum sealed with an oxygen absorber enclosed. This process will keep your meals fresh for up to 25 years.